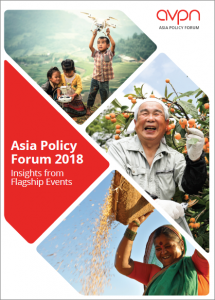 This report summarises insights learned over these flagship policy events of 2018. It addresses common threads of how innovation in both policies and policy approaches can drive inclusive economic growth, and how governments can collaborate with the social investment community to break out of silos and operate with impact despite rigid bureaucratic structures. 2018 has unveiled innovative and passionate policymakers and AVPN members that are committed to mobilising cross-sector resources for social impact, as the report will show. View more policy resources here.